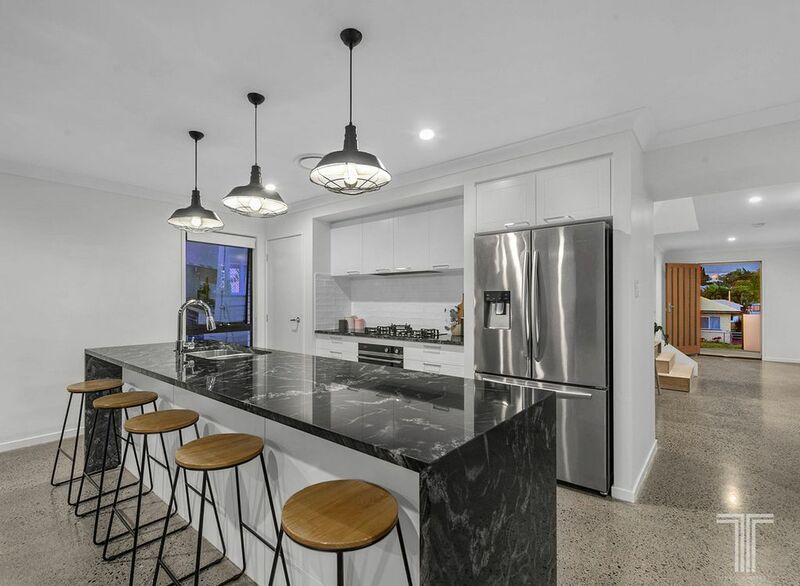 An exceptional family home in the sought-after suburb of Holland Park, this two-storey residence captures cooling breezes, natural light and sweeping district views from its elevated position. 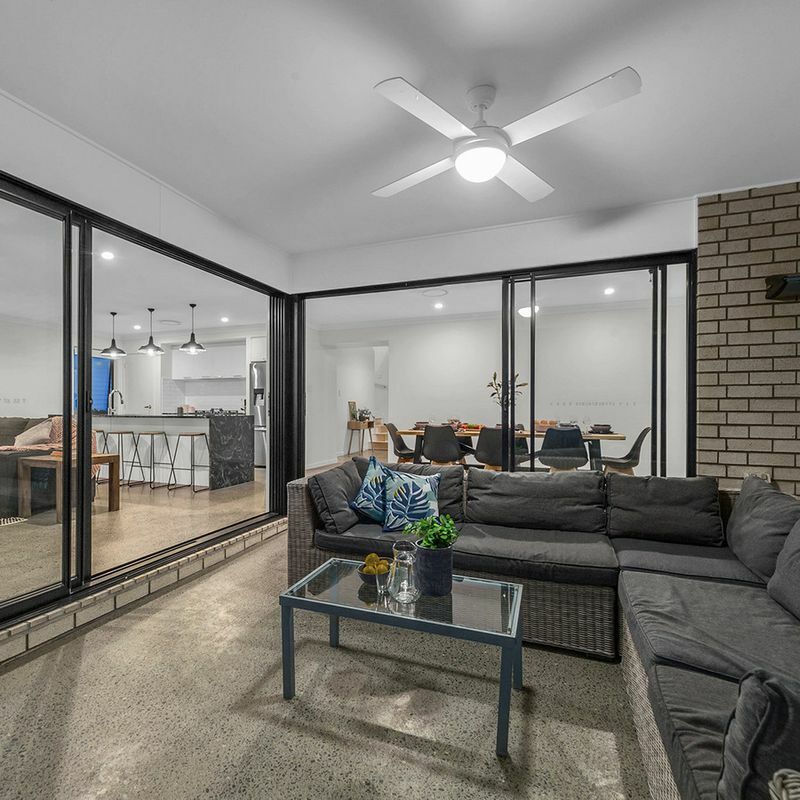 Beautifully presented and showcasing a multitude of living spaces, the home’s interiors reveal modern finishes throughout with banks of glass windows and exposed concrete flooring. 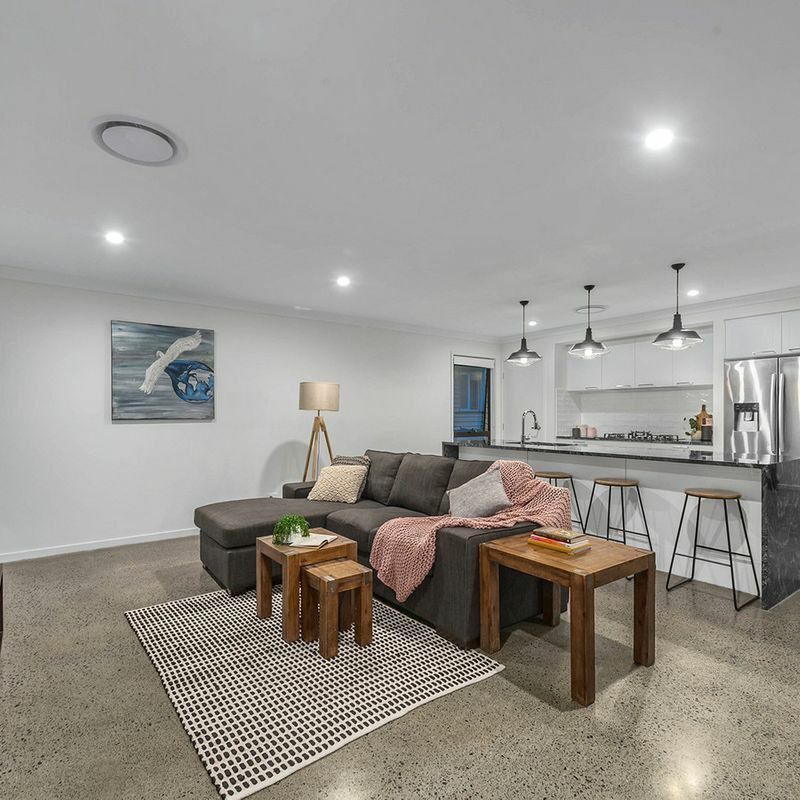 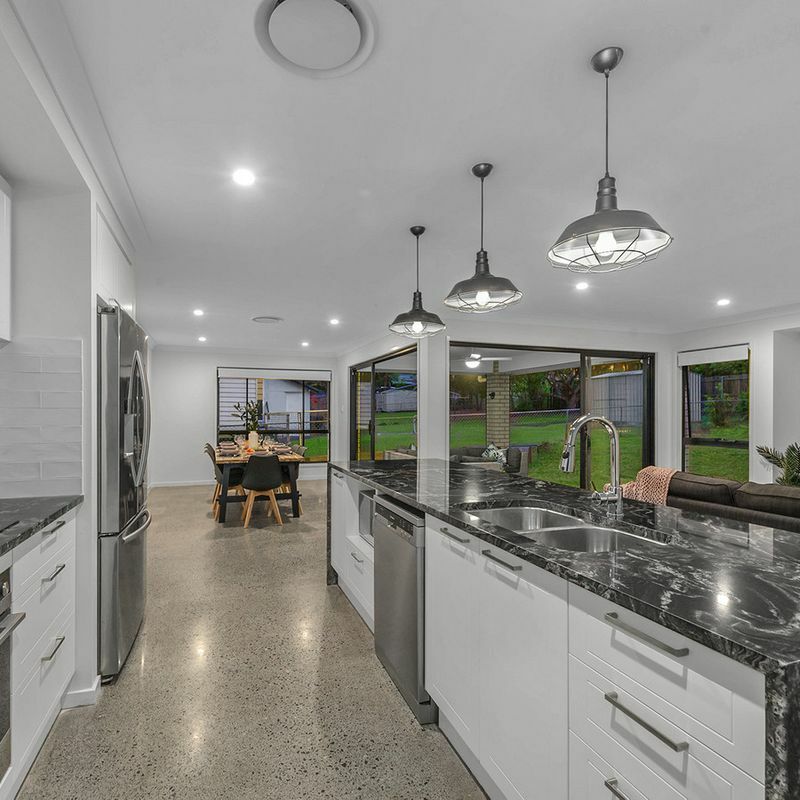 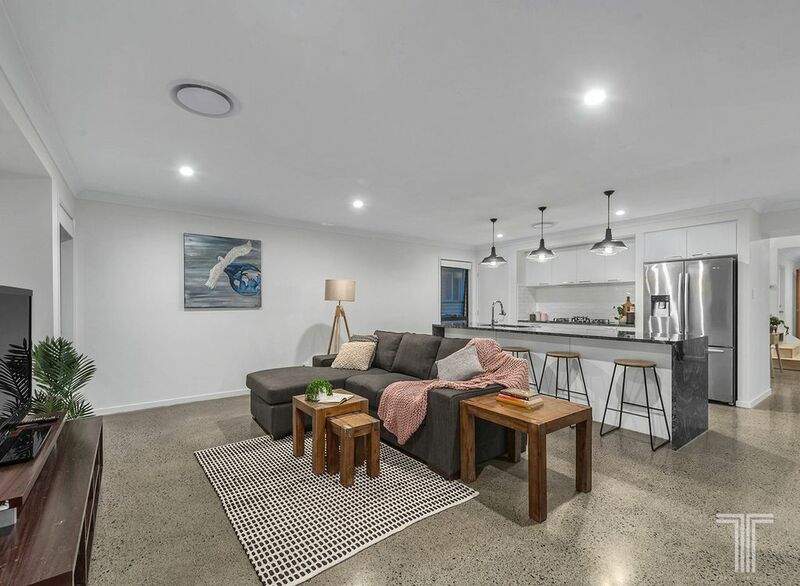 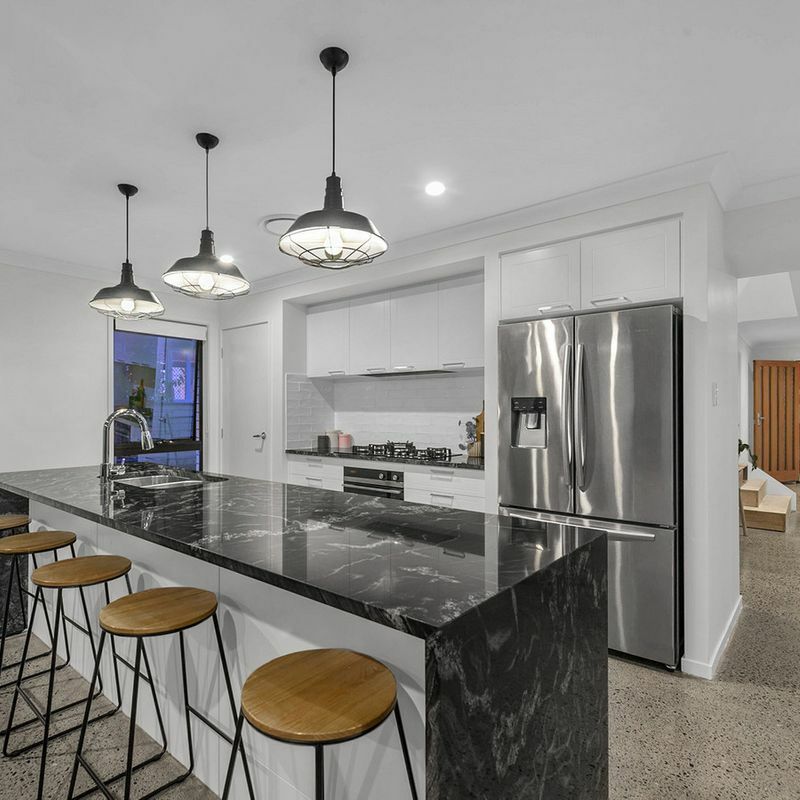 Open plan, the relaxed and stylish lounge and dining area adjoins the sleek and sophisticated kitchen adorned with Indian mist granite benchtops, 5 burner gas stove, quality stainless steel appliances, walk-in pantry and feature pendant lights. 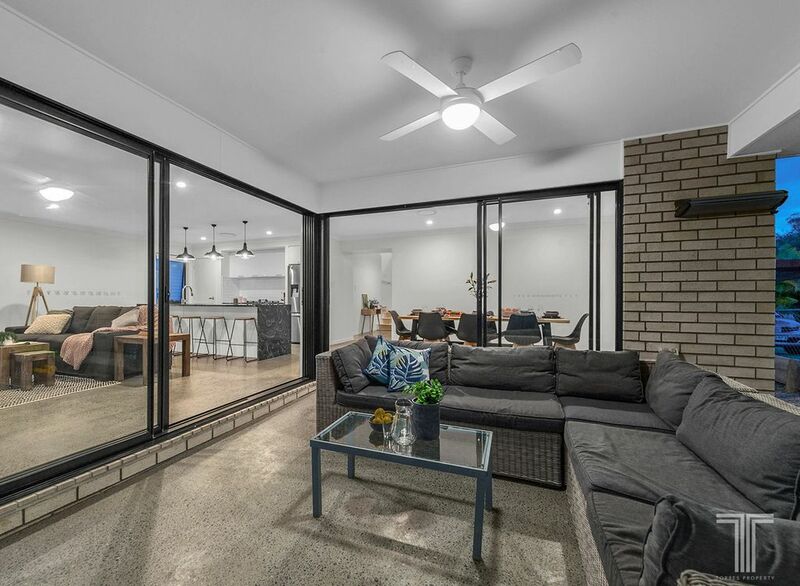 Presenting ample room to relax with the family or entertain guests, this elegant living area flows with ease out to the alfresco patio and sprawling backyard. 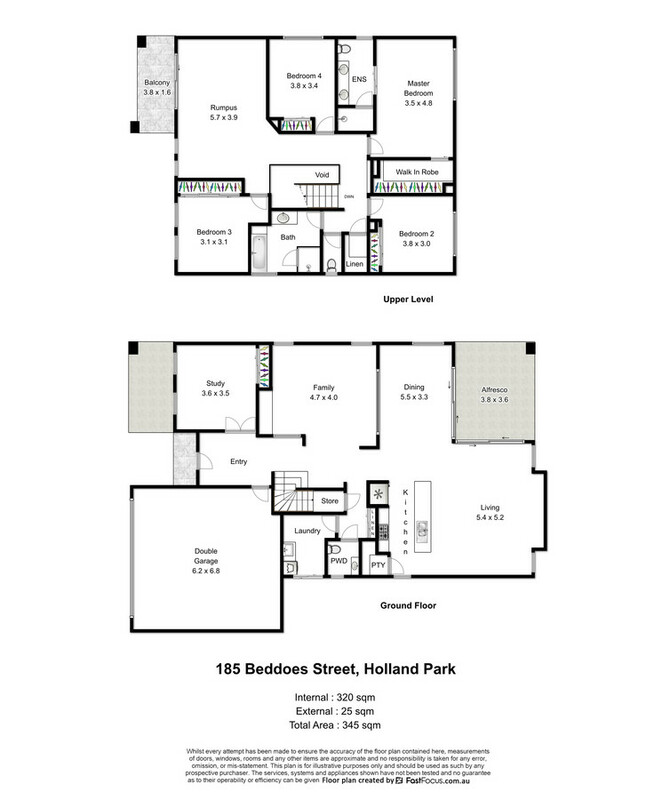 Offering further living space, the family room is generously sized and located off the entry. 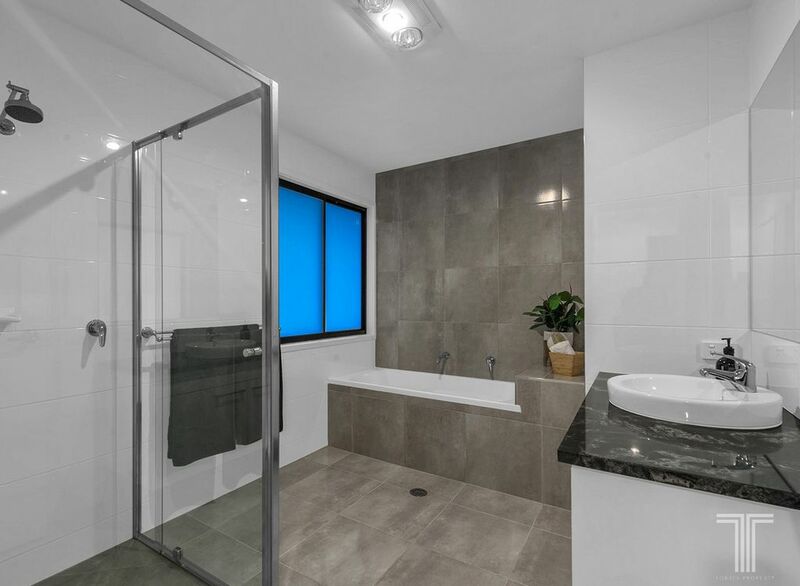 On the upper level, an additional rumpus accompanies four of the home’s bedrooms and features a private balcony. 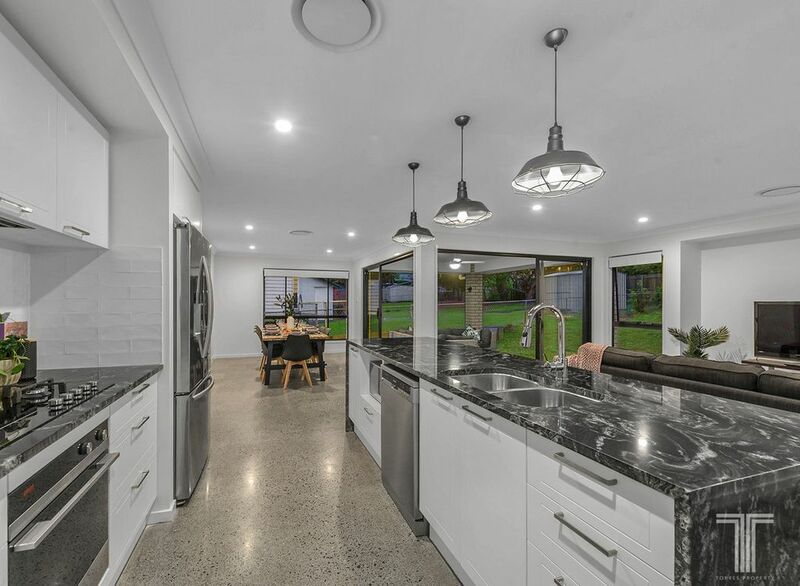 Enjoying elevated views, walk-in robe and modern ensuite with granite benchtops, the master bedroom is an idyllic parent’s retreat. 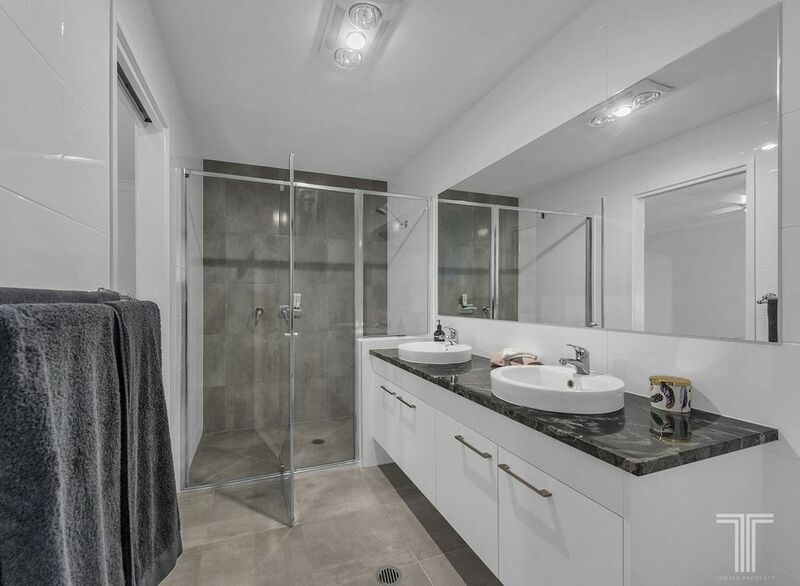 A further three bedrooms all include built-in robes, including one with sweeping district views. 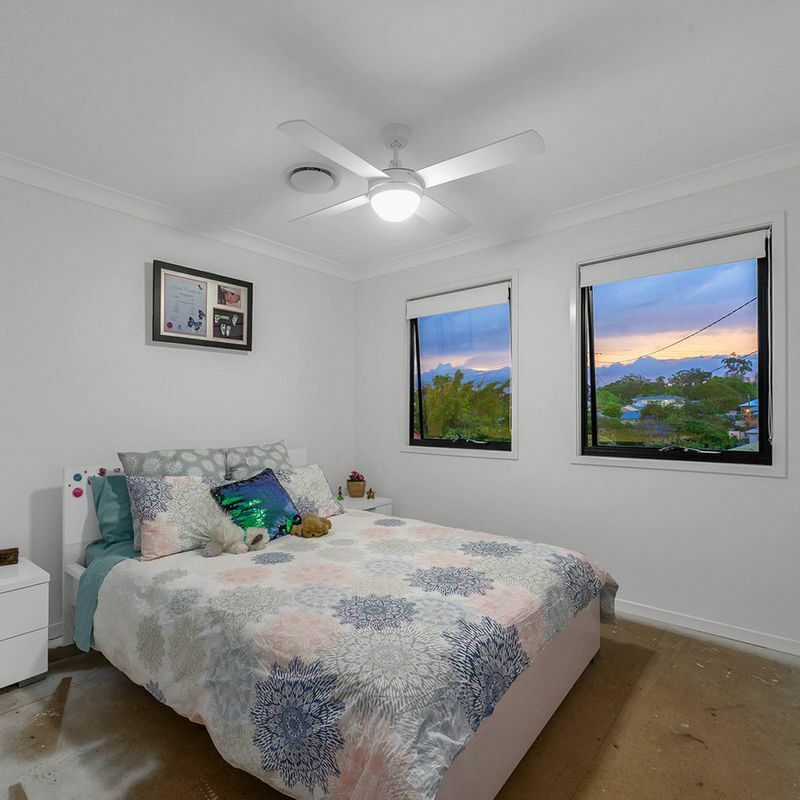 An additional fifth bedroom is located downstairs and can double as a study or office. 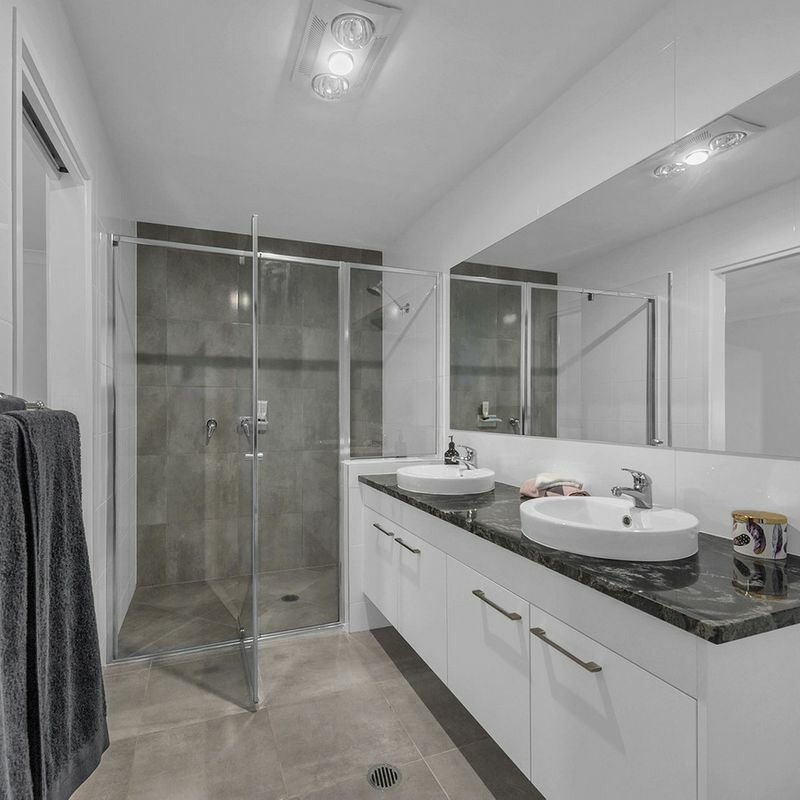 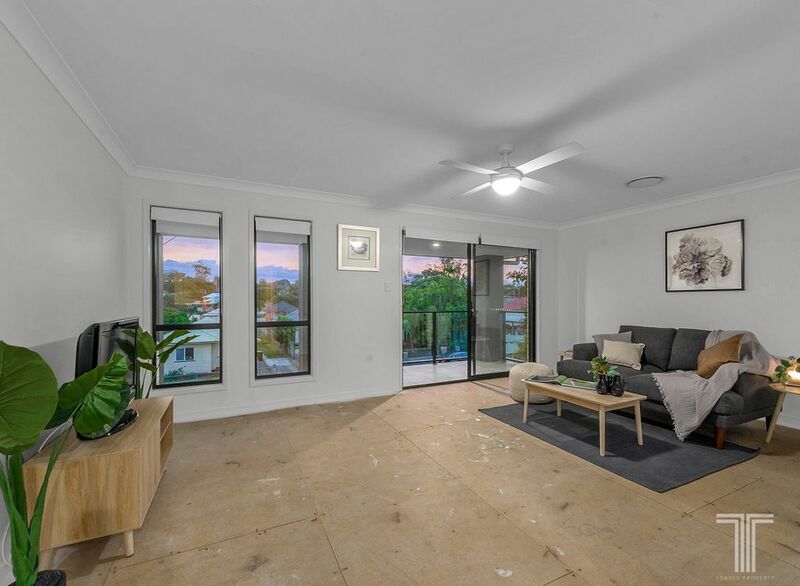 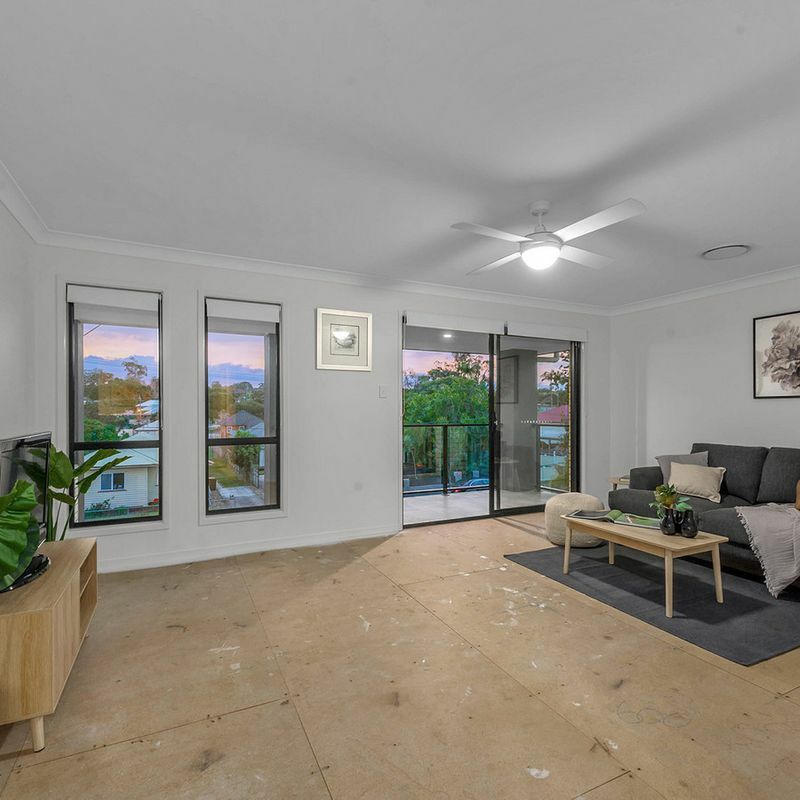 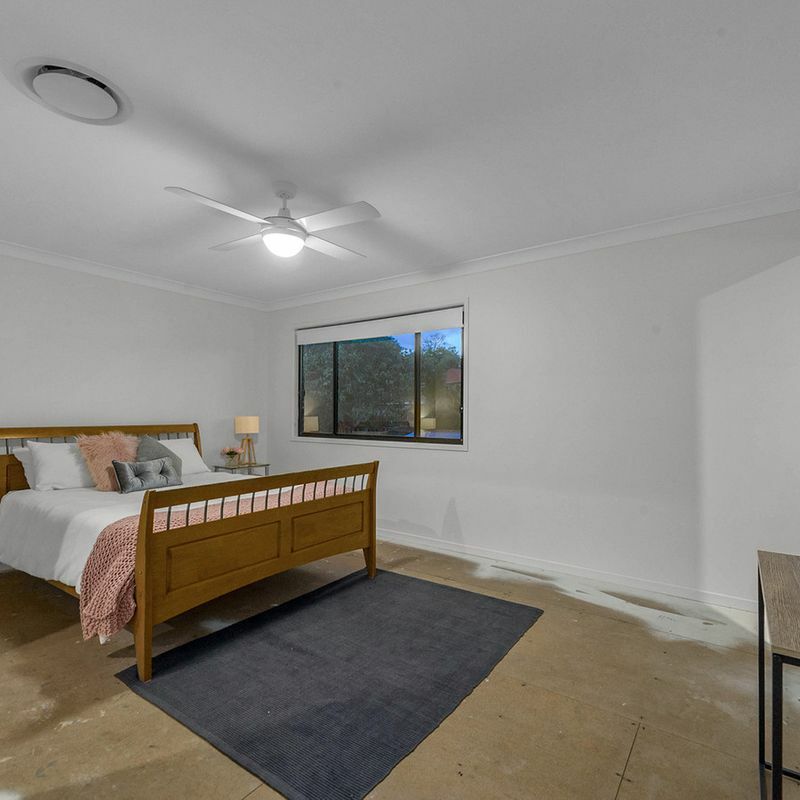 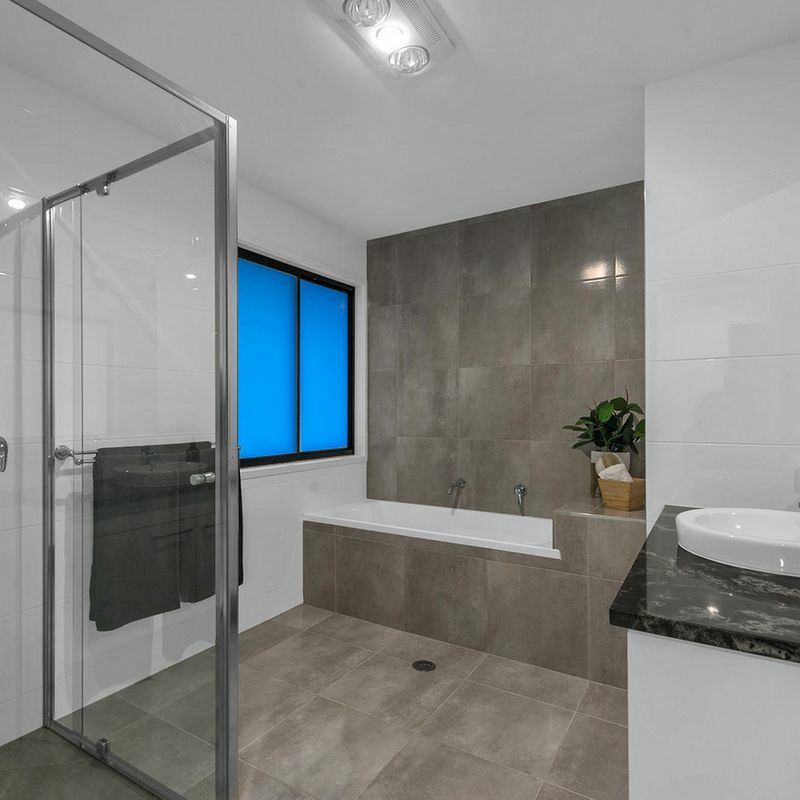 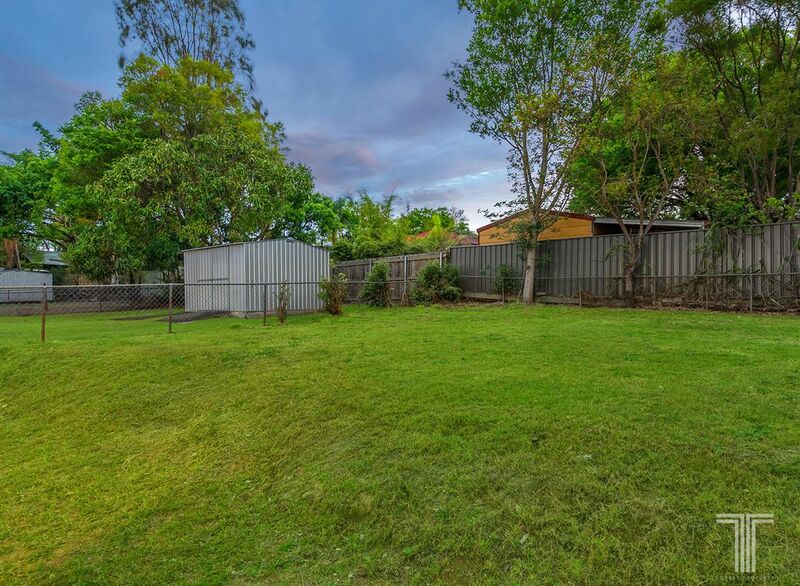 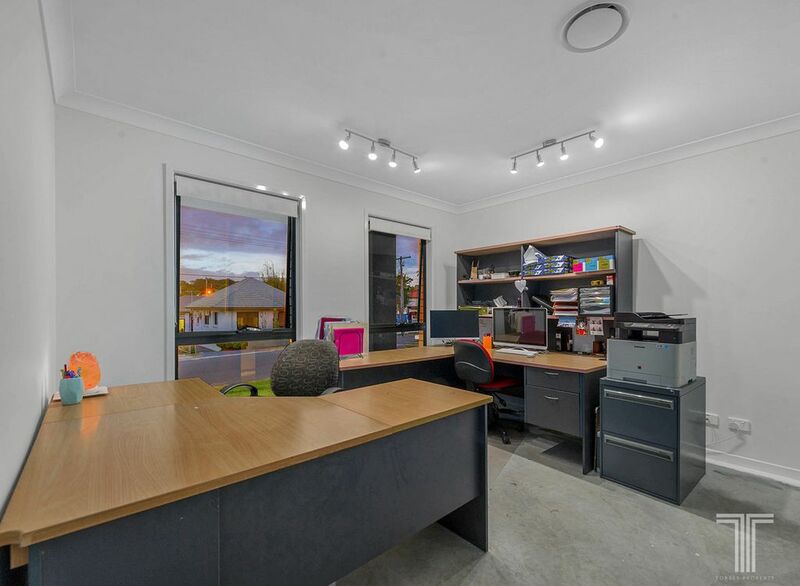 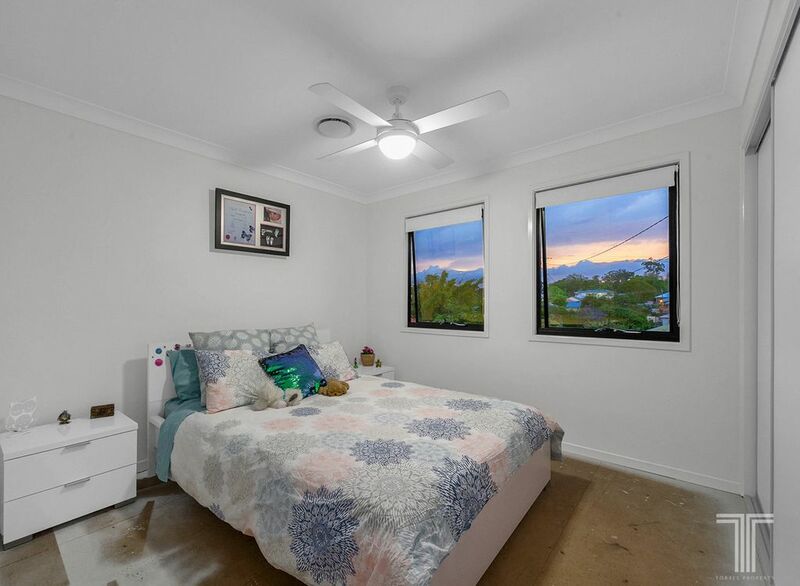 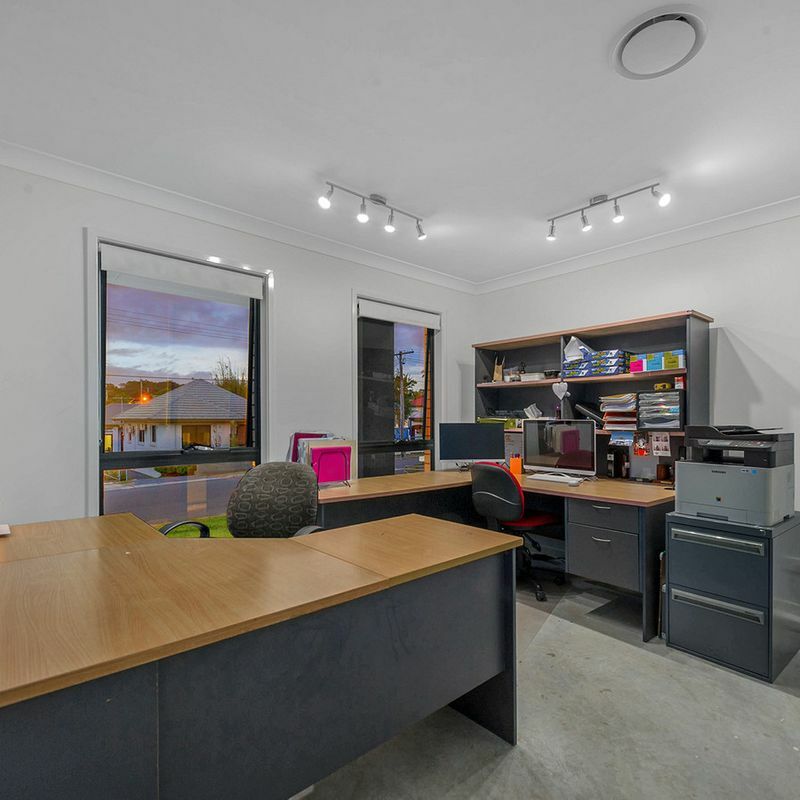 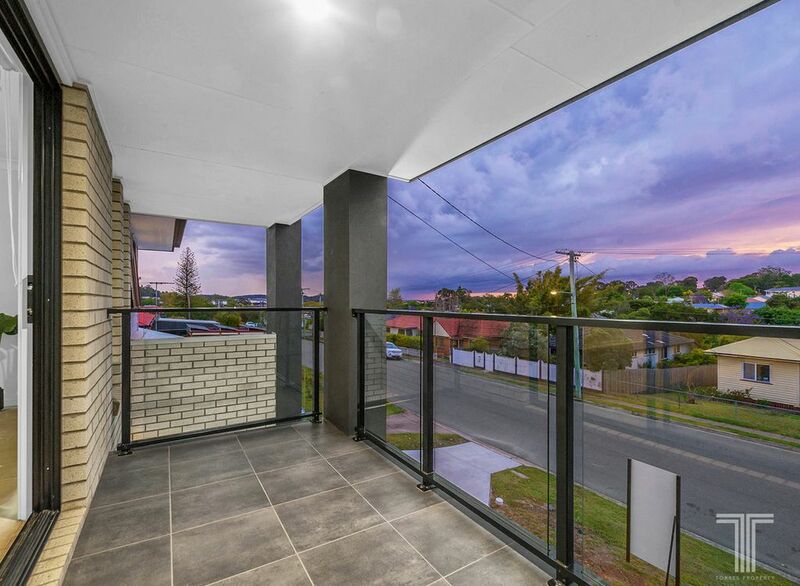 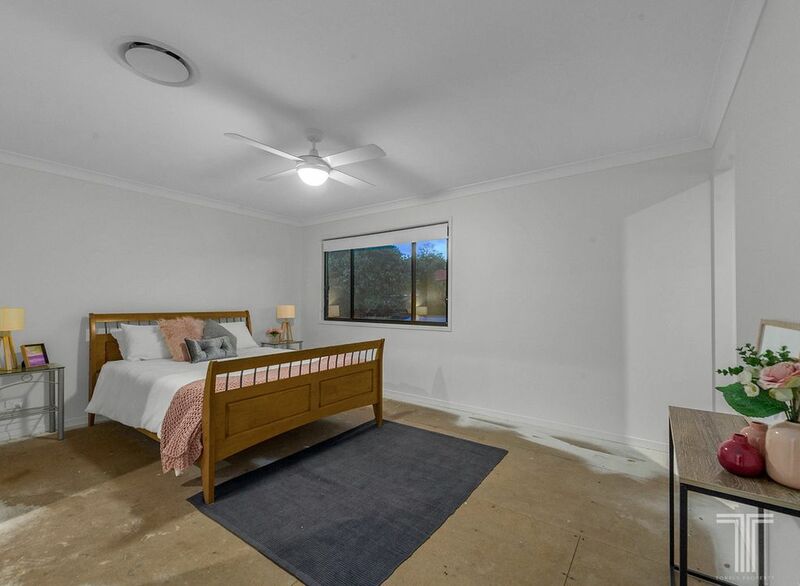 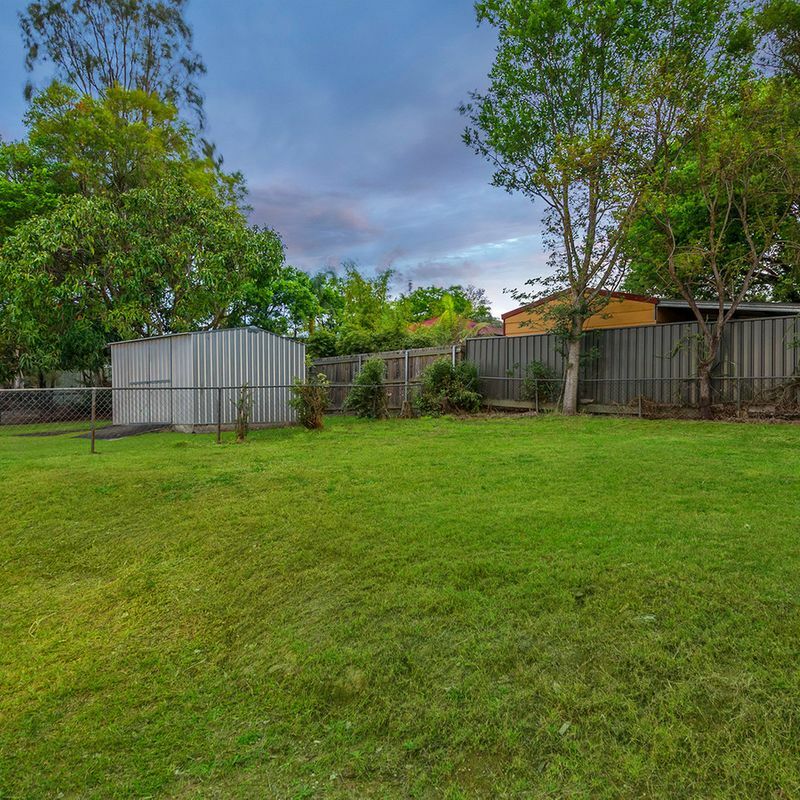 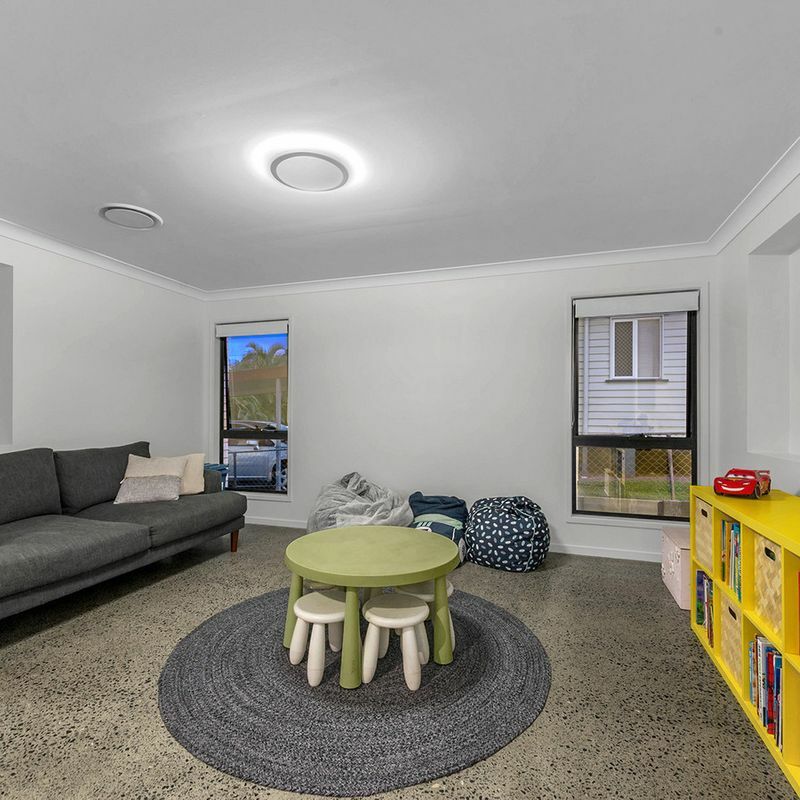 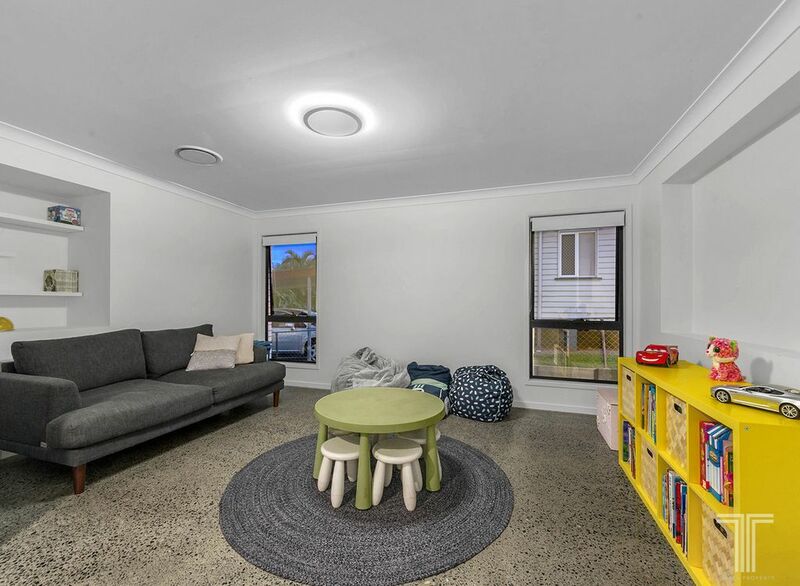 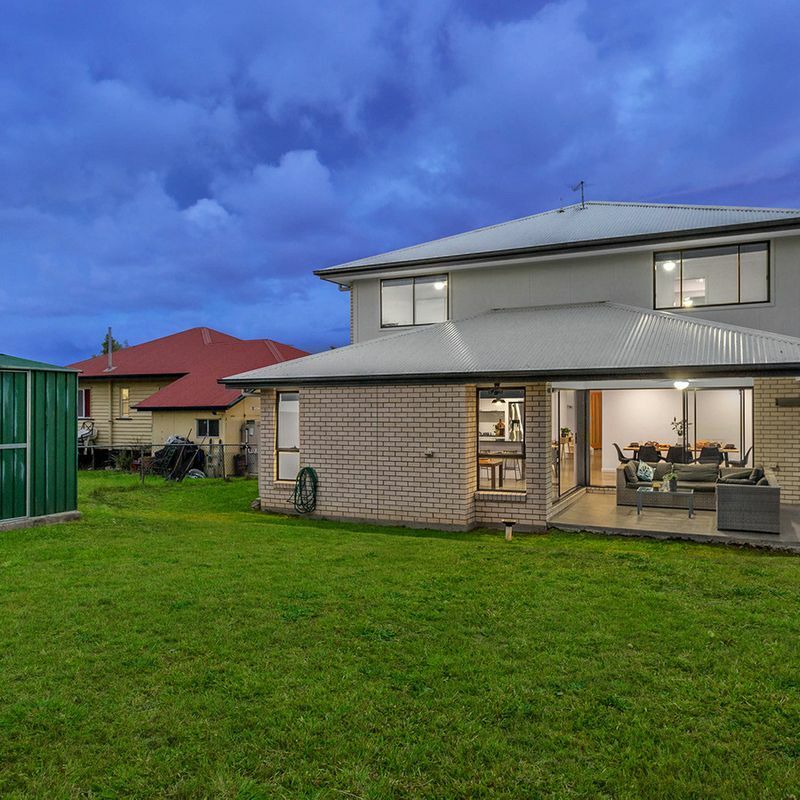 Positioned only 1 minute to Cavendish Road State High School, 2 minutes away from Seville Road State School and close to local parks and bus stops, this home offers easy access to Cavendish Road and Whites Hill Reserve. 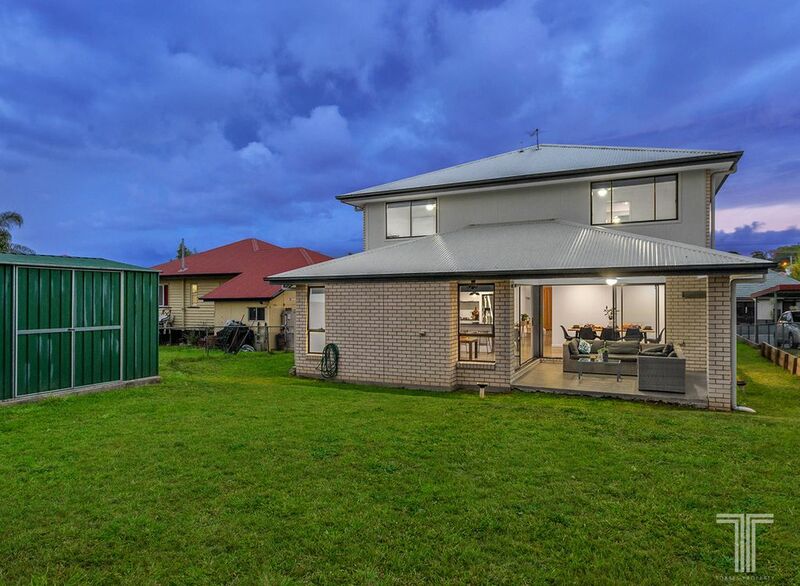 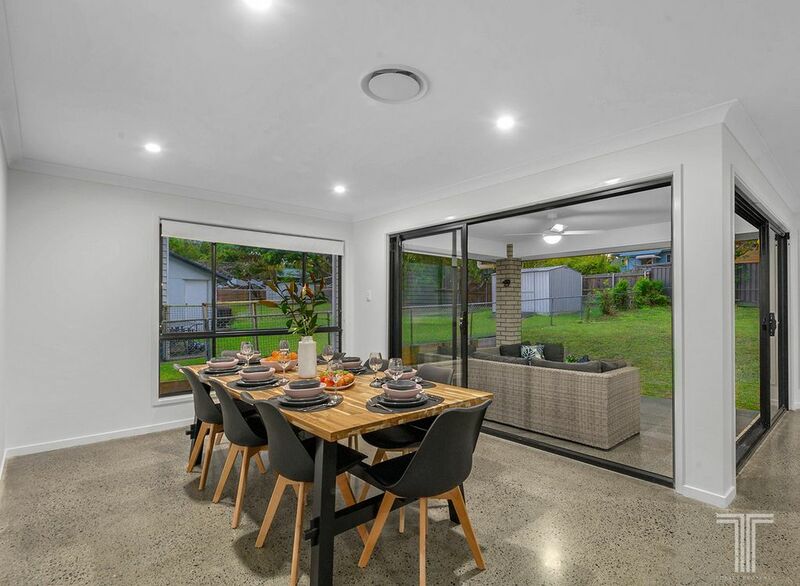 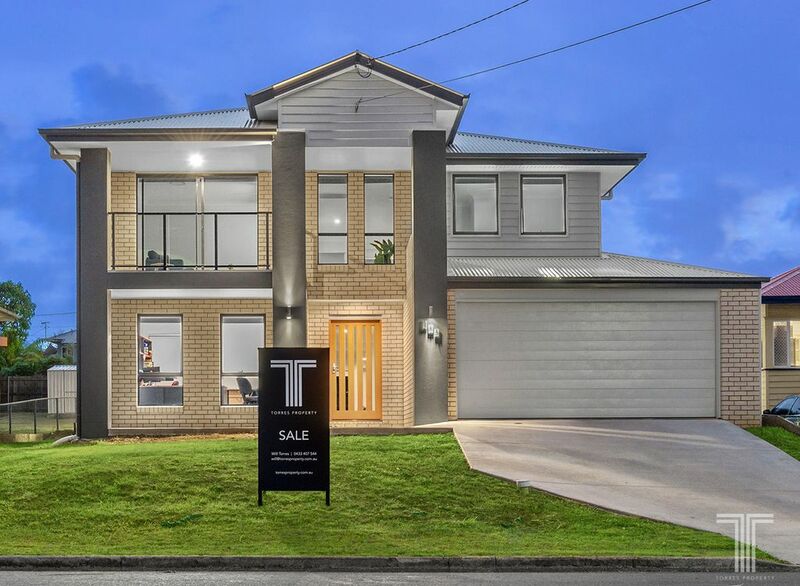 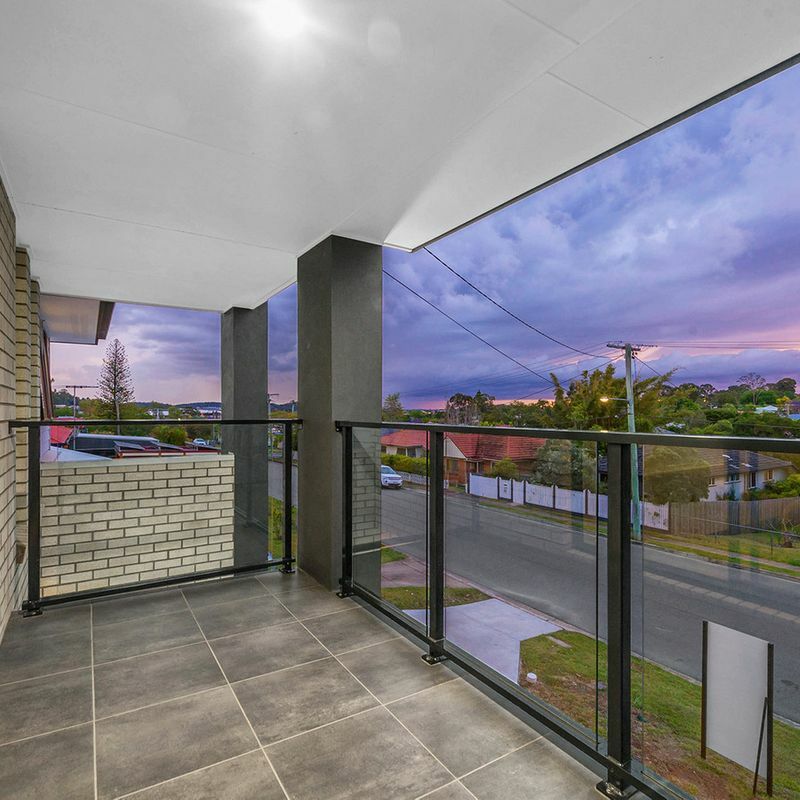 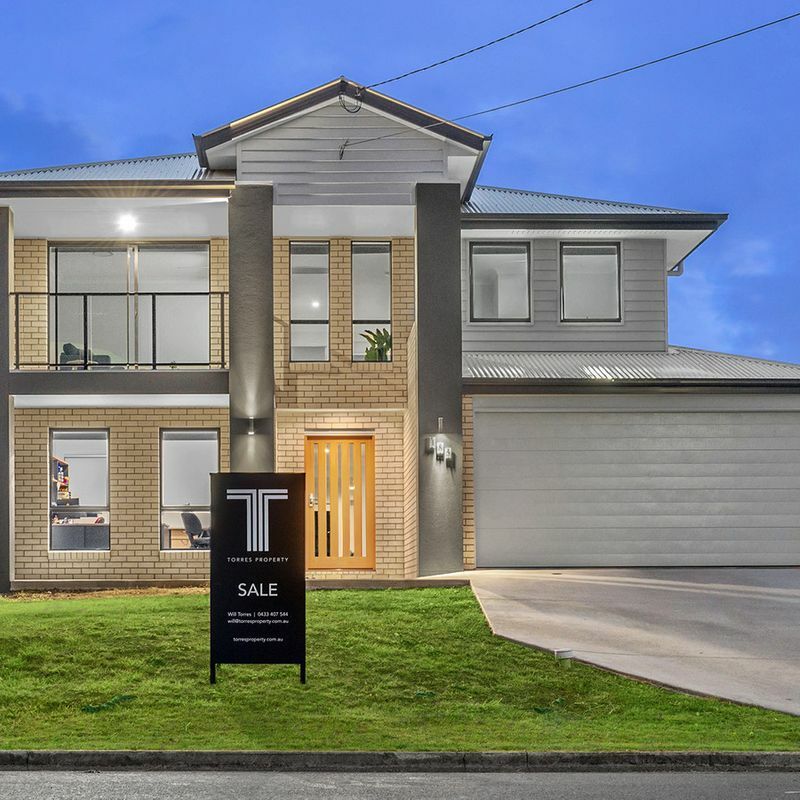 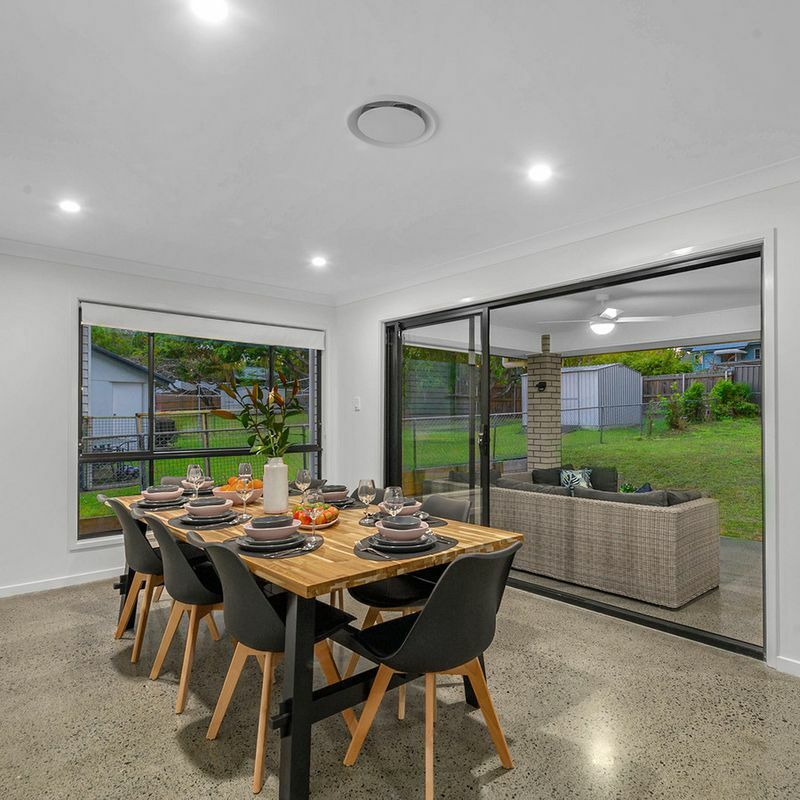 Only 6 minutes to Westfield Carindale and less than 20 minutes to the CBD, this family locale has so much to offer.